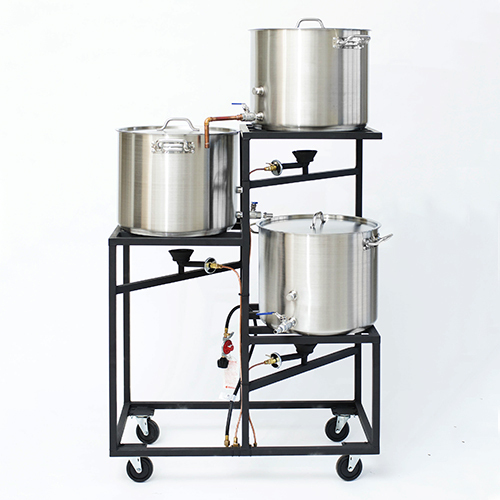 Our personalized 5 gallon all-grain brewery comes with a very sturdy steel stand on wheels with three 60,000 BTU propane burners. 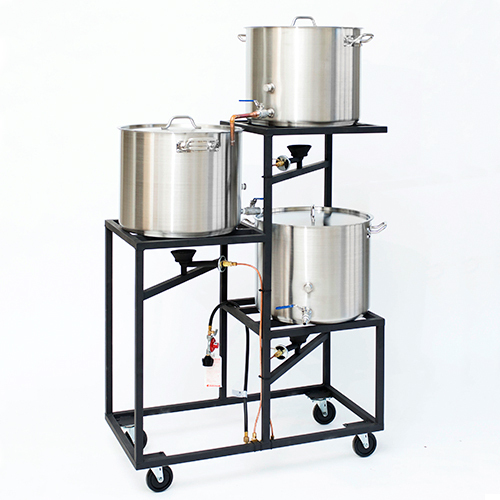 Just like our professional brewery, the burners are manifolded to one adjustable regulator, allowing independent operation of each burner. 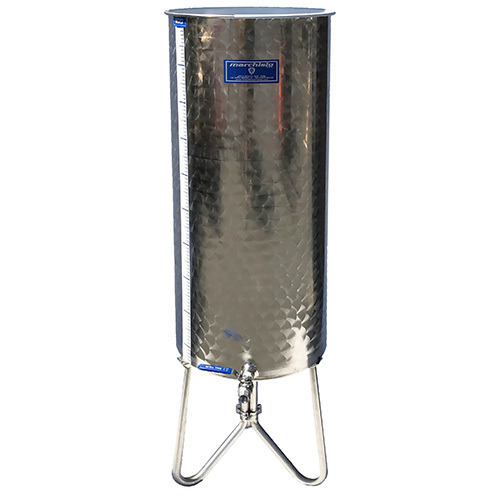 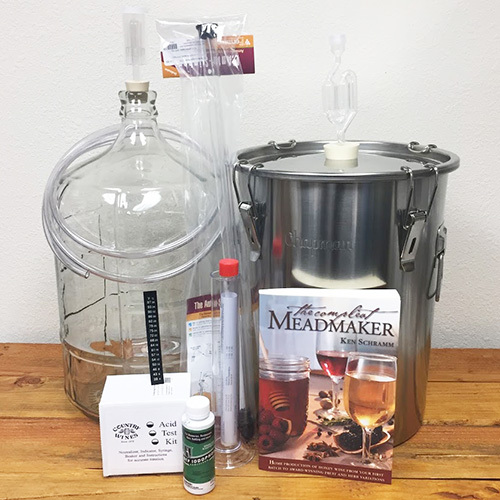 The 8 gallon stainless pots include lids and each pot includes a stainless ball valve drain, thermometer port and appropriate mashing and sparging equipment.